Thank you for your role as an adult leader in SCOUTS South Africa! This material on this site wouldn't be here without countless contributions from Pack Scouters over the years. And with your help, the SCOUTS South Africa Wiki can only get better! Please consider uploading your ideas and material to share them with other Pack Scouters. See How to update the wiki. 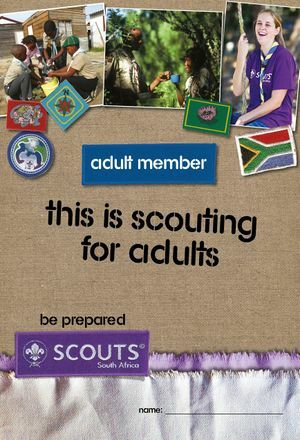 This Is Scouting for Adults is the handbook given to each new adult member to help them start their Scouting journey. Resources are grouped by theme under each section of the Silver Wolf and Gold Wolf advancement badges - e.g. Cub Outdoor Challenge - Compass and Mapping. There are also resources on the pages for many of the Cub Interest Badges.